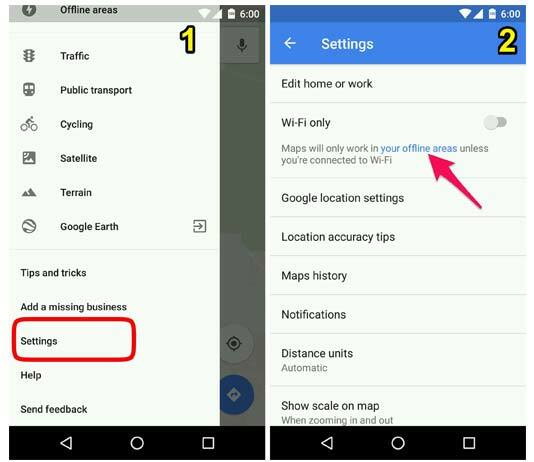 Google has recently rolled out a new feature called “Wi-Fi only mode”. This mode prevents Google maps from using your mobile data. This mode connects to the internet only if you are connected via Wi-Fi, Else it will use the offline maps. There is a limitation wherein you need to update your offline maps data every 30 days. If not, Data will automatically expire. 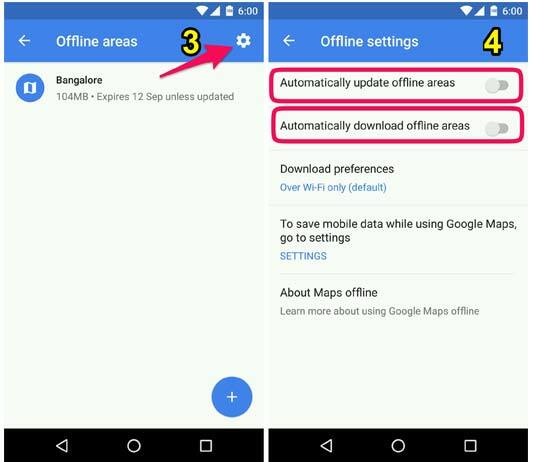 By default, Google has enabled the Automatic update and downloading of offline maps. Sometimes you might need more than a GB of data to update and download the offline areas. You can disable this via settings. Tutorial to disable Google Maps Automatic Downloads. Click on the “Settings” icon on the top right. To turn off automatic update / downloading of maps, Turn off first 2 options.